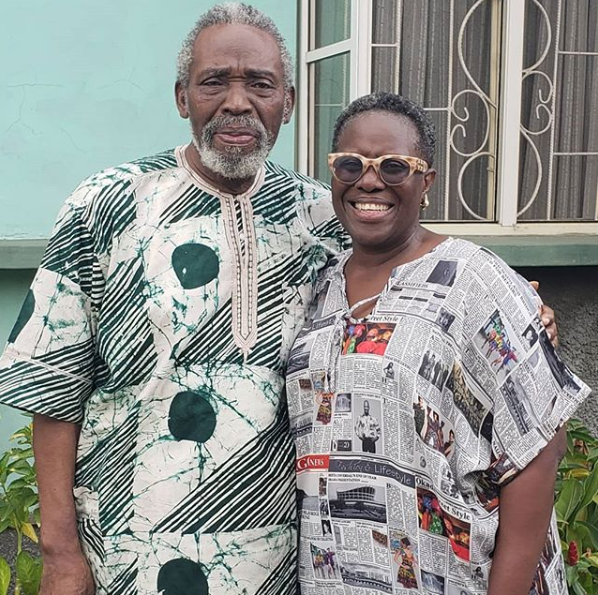 Nollywood veterans, Olu Jacobs and Joke Silva look regal in a recently released photo. Ms Joke Silva had on a newspaper print dress and Mr Olu Jacobs wore an Adire top. The couple looked happy in the photo with Ms Silva sporting a contented smile as Mr Jacobs’ hand rested on her shoulder.